Fourth in FEI Driving World Rankings! 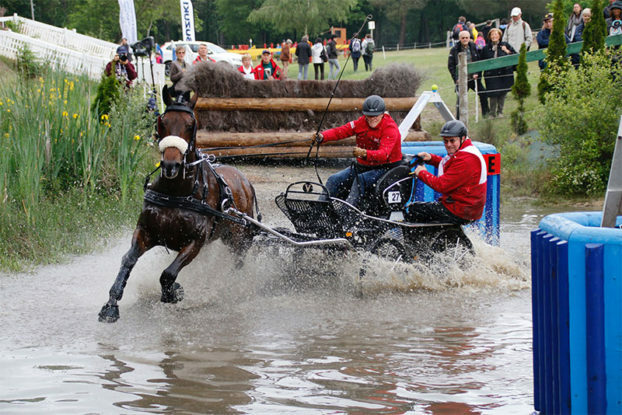 Canadian driving athlete, Kelly Houtappels-Bruder intended for 2017 to be a year to regroup and rebuild, but instead it has become one for the books, with an impressive rise to fourth place in the FEI World Rankings for Driving in the Singles division. Kelly has been a mainstay on the international driving scene for many years, and in 2016 she represented Canada at the FEI World Single Driving Championships in Piber, AUT. Partnered with her nine-year-old Oldenburg gelding, Flip (Fidertanz x Carprilli), she earned seventh place out of a field of 75 competitors.